Ok someone's got to ask. What happened 56-66?!? Someone has to ask. What happened in 1966? 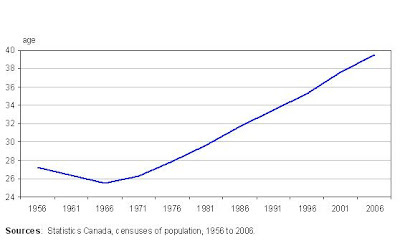 Also, it's interesting how there is NO exponential growth, even in the past couple of years. My guess: introduction of so many baby boomers brought the median age down. The US Census has projections till 2020. Curious.